But then came the mobile revolution. And on many mobile devices, many PDFs look just plain bad. Why? Because, on a small screen, a PDF’s greatest asset becomes a liability. The pages within a PDF document are fixed — they are exact images of the physical pages as they would print out if you sent them to a printer. 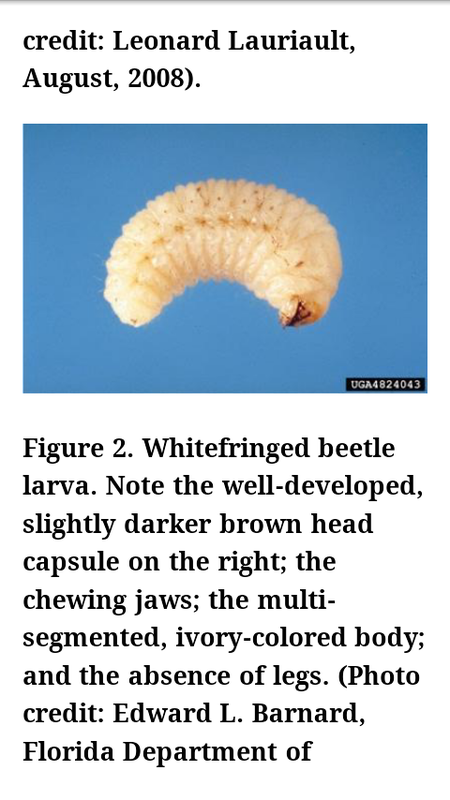 This is precisely why PDFs work as camera-ready copy. When your reader peers at the image of an 8.5” x 11” page on a screen that actually measures more like 2” x 4”, the text may be unreadable by mortal eyes. Note that I am intentionally not addressing, in this post, the difference in monetization opportunities between PDFs and ebooks. I hope to get to that later in the series. Here we’re just concentrating on which format makes your content more accessible for your potential readers. To demonstrate the visual trade-offs, I’m going to use screen captures from my own phone, a Droid X, for two publications for which I have both PDF and epub versions. 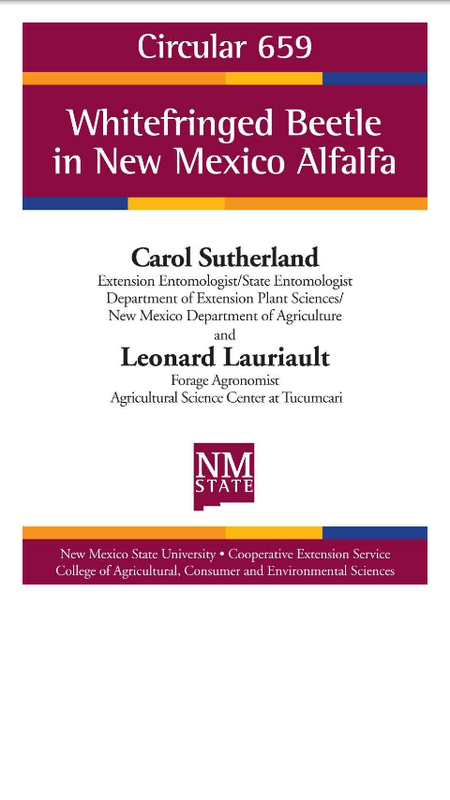 One is an extension circular from the New Mexico State University Extension Service. Ana Henke’s Marketing Services Group at NMSU has been a pioneer in the simultaneous publication of print, PDF, and ebook formats. 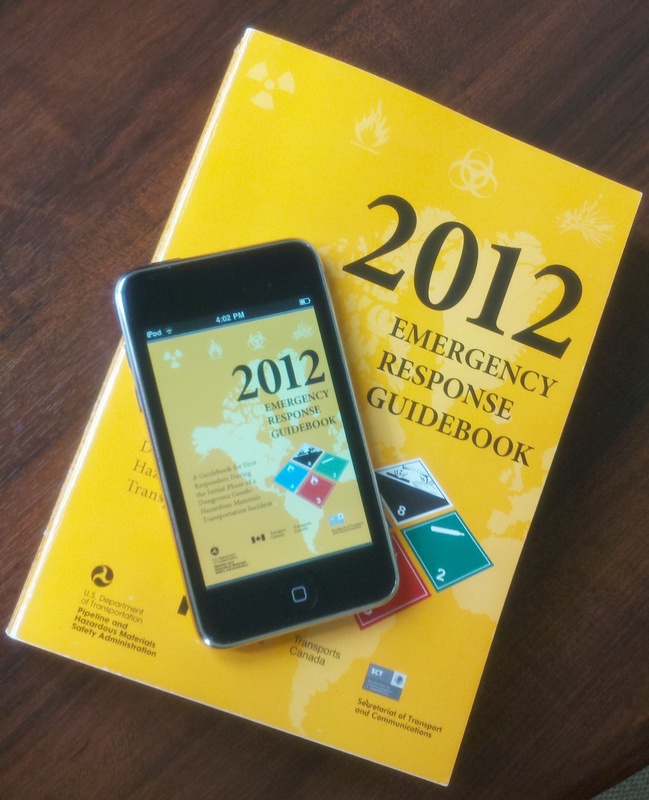 The other example is the Emergency Response Guidebook (ERG), a collaborative publication from the governments of the United States, Canada, Mexico, and Argentina, for which my company publishes an ebook version. 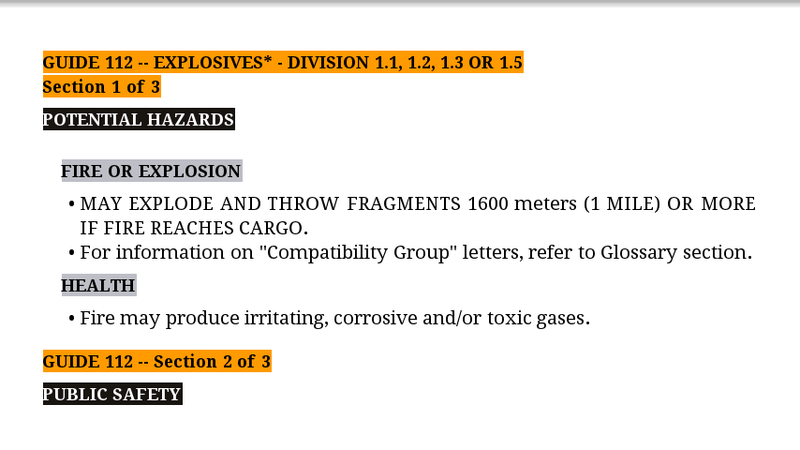 We start with one screenshot for each of the documents. 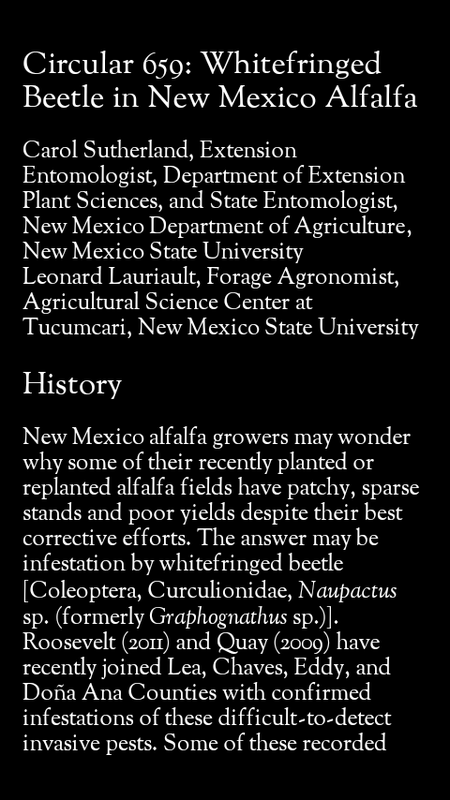 The first is the NMSU circular just the way it opens up in Adobe Reader. 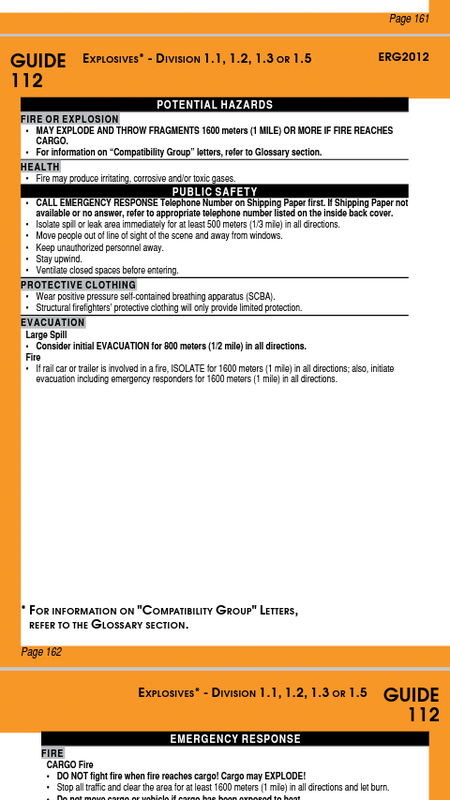 The second is one of the ‘orange guide pages’ from the middle of the ERG, a page intended to give you detailed information on how to respond to a specific type of hazmat incident. 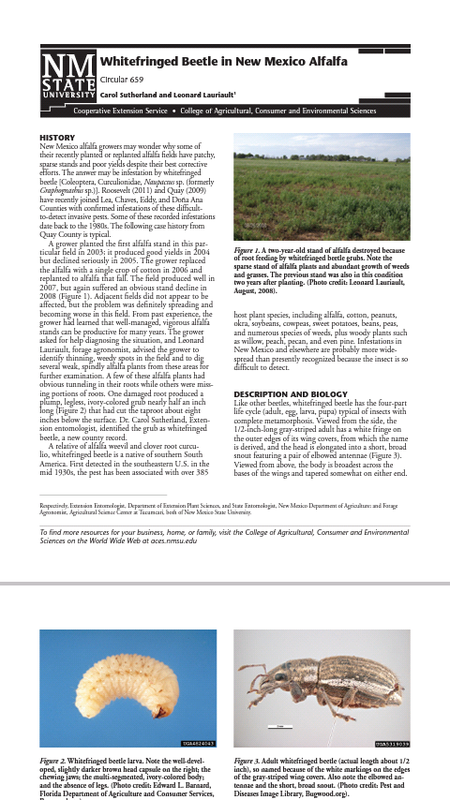 To get a realistic sense of what the PDFs pictured below actually look like on my DroidX, you may need to, temporarily, resize your browser view so the two screenshots are the size of a phone screen. Go find a ruler or, heck, just grab your own smartphone and hold it up to the screen. Then, use your browser zoom keys to reduce or enlarge the image to measure 2.25 inches wide or to match your phone. Go ahead. Try it. Zooming out (making the image smaller) is usually something like [cmd]- or [ctrl]-. Yep, that’s a minus or hyphen key there. Zooming in is the same but with a +. Seriously, you’ll appreciate this post more if you do it. And you can change it back right after this one pair of images. I’m happy to wait while you find that ruler. Really, I’ve got all day. 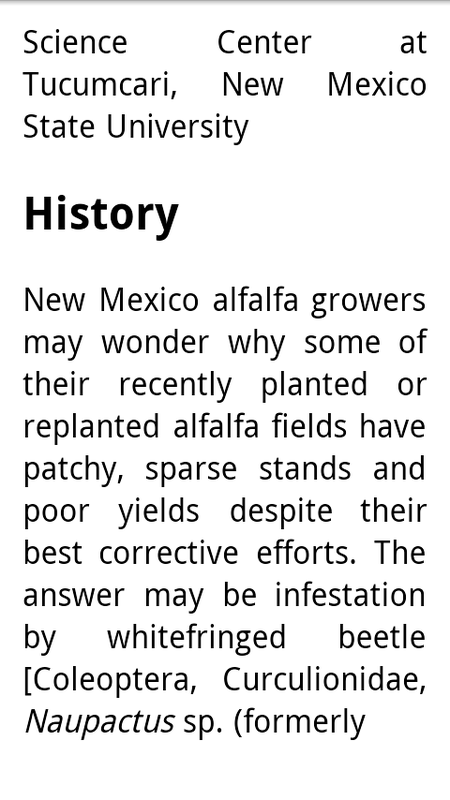 Of course, you can rotate the screen, hoping landscape view makes the text big enough to read. Or you can zoom in as far as you need to make the text readable for you and view sections of a page at a time. But then you have to remember one gesture to scroll around and see the full text of ‘this’ page and another to move on to the next. 1. 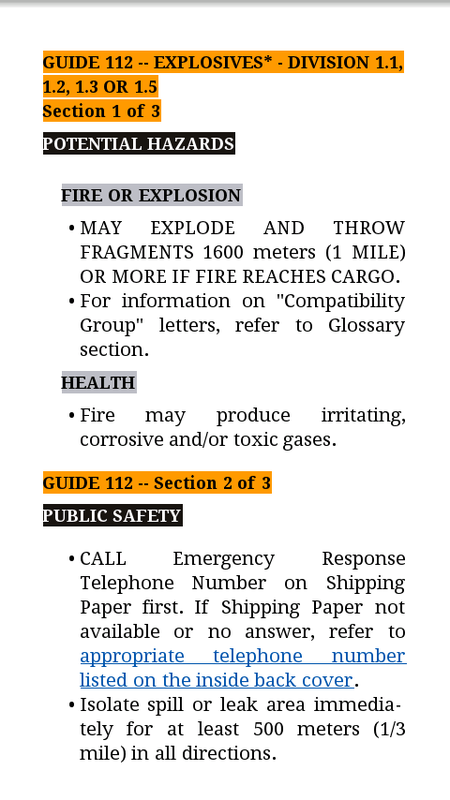 The text ‘reflows’ the text to fit the screen size; there is no fixed page size. 2. A lot of the design elements of a printed page are not available. 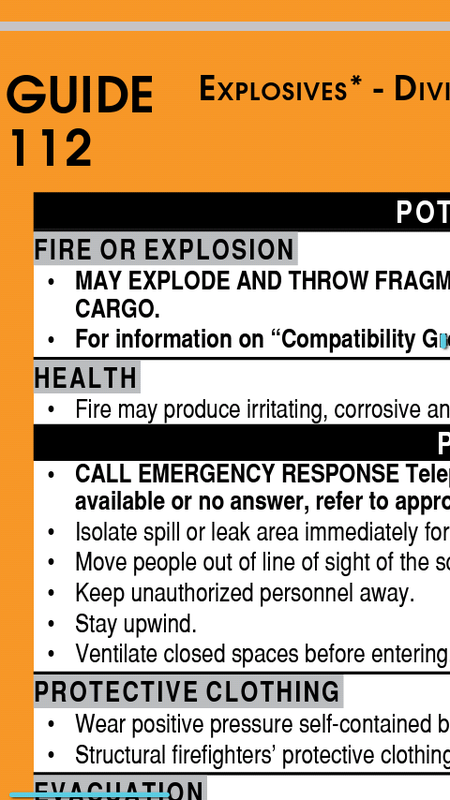 The orange-colored borders of the original Guide page have to be suggested with highlighted text instead. On the other hand, active links within the document or to outside web resources are common and easy to insert. 4. The text adapts gracefully to landscape as well as portrait viewing. The user consistently swipes or taps to move from page to page, no scrolling to view some text on ‘this’ page and then swiping to move to the next page. 5. And the ereader allows the human reader to resize the text to suit herself and may even let her choose her own font size and background color. On a small enough device, the difference between a PDF and a real ebook can be the difference between not-readable and readable. 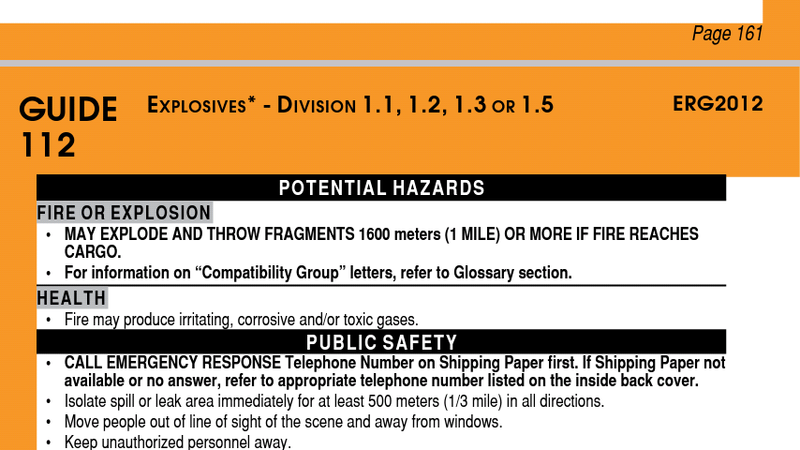 You don’t get to say how elements are going to look together ‘on the page.’ There is no page. Forget about colored borders, colored pages, and a lot of the other layered visual effects that you expect to use for your printed books. You don’t have final say on the typeface or size. You can specify relative sizes but need to be aware that the reader can generally scale the font up and down and may even be able to change the typeface entirely. And then there are the choices you’ll have to make about which ebook format(s) to support and how to distribute them. But those are topics for another day. And stay in touch. I’d love to hear any questions you have after reading this post or your own observations from publishing material in any of these formats. Please comment here publicly or email me at ebooks@sherprog.com. And let me know if you’d like to have some or all of this material to use in a presentation — I’d be happy to supply it as, say, powerpoint slides for you to re-use.